We're baaack! We had a FANTASTIC vacation on Lake Powell! We houseboated and speedboated, enjoyed water activities, grilled (I cooked carne asada, pollo asada, marinated chicken breasts, hamburgers and hot dogs), relaxed, played board games (I'm quite gifted at Apples to Apples!) and read (for me it was the brilliant Wintergirls by Laurie Halse Anderson). Before leaving, I paid a trip to my local Costco where the electronics guy looked over my misbehaving camera and pronounced the settings "all whacked out." Which he quickly righted. I guess the camera reset itself somewhere between its side falling off and the optician fixing it with two glasses' screws. It seem to be performing okay while we were away. Okay. 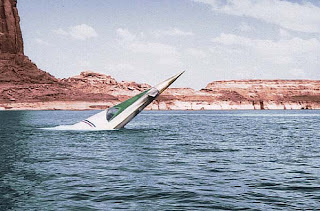 About Lake Powell. AMAZING scenery. It's like being IN the Grand Canyon. It's like being on another planet. Like the Charlton Heston version of Planet of the Apes. Here's a photo from the movie. Thank you to Charles Gramlich of Razored Zen for pointing out that Planet of the Apes was filmed here. 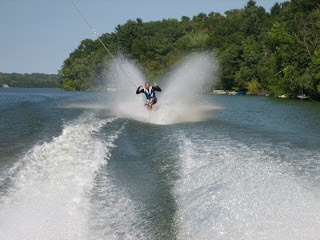 Sadly, I discovered that I am not a crack water skiier. All those memories I have of myself zipping in and out of the wake on one ski are probably seen through rose-colored goggles. HOWEVER, I did have fun tubing! The water temperature was perfect at about 80 degrees. We ended up mooring on a small sandy beach down Last Chance Canyon. People-wise, there was just us. Just us amidst all that incredible sandstone. We also spotted a fox, some geckos, red ants, gnats and a mouse. Despite the heat, the kids played on the rocks. Child #4 and I went exploring for animal tracks and interesting plants. Biodegradable shampoo is not my friend. By the end of the week, my hair looked and felt like sheep's wool. Next time, I'll go fishing. I bet you never thought I'd say that Travis Erwin! We are driving SIX HUNDRED miles tomorrow! All the way to Lake Powell. 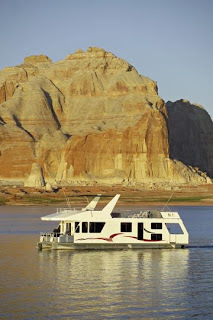 And a little about Lake Powell: It is a man-made reservoir along the Colorado River. When full, it stores over 24,000,000 acre feet of water. This is a very large lake. 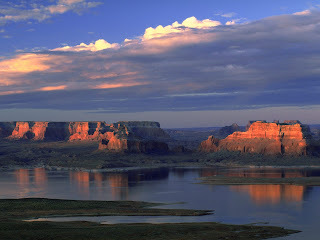 Most of Lake Powell is in Utah, but some of it is in Arizona. Which means you need fishing licenses from two states. Luckily, I am not an avid fisherwoman. And you don't need any license to read and relax! We'll be boating and hiking and staying on a houseboat. I THINK it's the houseboat below. To be honest, I've had very little to do with planning this vacation. Thank you to Mark, Keith and Eileen who organized it all. Including meals. I can hardly wait to see what I'll be eating! Lake Powell is very beautiful and Grand Canyon-ish with steep sandstone walls. I won't have internet access. Editor Wendy says this is a good thing and that I can use some time unconnected. I don't know about that; I'm already having chills and shakes. So, I'll see you in a week. Be good. Have fu! First off, I'm having a technical problem with the My Town Monday post about how Editor Wendy and I BRIEFLY played hooky from the wunderbar and inspiring SCBWI national summer conference for an unexpected Hollywood adventure. Weirdly, Wendy and I have the same Canon camera. Hers behaves itself, not letting in light willy-nilly, not giving people reptilian, sci-fi-ish skin; mine does not. And that, folks, is as far as we're taking that particular metaphor! Anyway, the MTM post relies heavily on photos. Which Wendy dutifully shot with her well-behaved camera. I did not download the photos in a timely fashion, and Wendy and I will not cross paths today. Wendy and her camera are off enjoying the day. My sullen camera lies zipped up in its dark case for an extended time-out. So....Wendy will email me the photos later this week and I'l throw the post together then. In the meantime, I'm in the lobby of this swanky Beverly Hills hotel, enjoying the last half hour before the ride back to San Diego and my crazy-too-busy life. For example, I'll pull into the driveway just in time to zoom my kids over to swim practice. 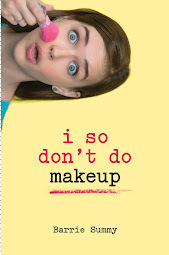 And the copy-edits have arrived for I So Don't Do Makeup and must be dealt with. -meeting Lin Oliver (who writes, among other things, a tres successful middle-grade series with Henry Winkler/the Fonz). Lin's a little head of me in the raising-thre-teen-boys business and we had a nice chat. -not finding Author Debbie Garfinkle after I lost her. We keep trying to meet at various functions, but it never seems to work out. Wah. -bring warmer clothing. I've had serious goosebumps for the entire four conference days due to the sub-Arctic A/C temps. Next time, I will be the woman in a toque and mukluks! Hello from HOLLYWOOD!!! I'm up here for the SCBWI national summer conference. Guess what I did for the very first time ever? Wendy is the cute one on the left. I'm the flat-haired one on the right. My camera is still messing up. 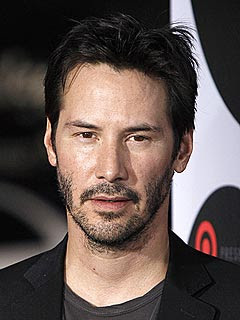 Really, we have beautiful skin, not all mottled and reptilian, as this photo would suggest! 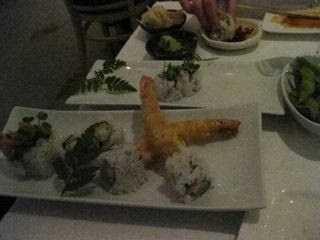 We went out for a fabulous sushi dinner. If you look closely, you can see Editor Wendy's hand in the left corner of this photo. She does not have liver spots. My camera is so toast! Sherman Alexie, author of the National-Book-Award winning, young-adult The Absolutely True Diary of a Part-Time Indian (AMAZING book which I read aloud with Child #3): FANTASTIC speaker. There wasn't a dry eye in the house. He talked about his past as a reservation Indian kid, how his book has affected others, etc. I attended a session on setting. The session was led by the one-and-only, multi-award-winning, incredibly talented Richard Peck (think A Long Way from Chicago and A Year Down Yonder and many more books). The session was great. Really made me think with gems of writing wisdom like: "The setting is the exterior landscape of our characters' lives" and "The first page of your page is the table of contents." I also loved this quotation from Kurt Vonnegut: "Start your story as near the end as you can get." I picked up hints about surviving school visits from the prolific and well-loved Betty Birney (think Humphyrey the hamster books and the The Seven Wonders of Sassafras Springs plus several other books). The hints were practical and down to earth and just what the doctor ordered. And I met fellow blogger SOLVANG SHERRIE!! She's as delightful in real life as she is in cyberspace! Thank you Cindy Pon, author of the young-adult The Silver Phoenix, for letting me catch a ride with you. I will not mention that we were so busy chatting (well, Cindy was chatting; you know from this blog that I'm a very quiet person. Ha!!!) that we missed the 405 cutoff and ended up doing a U-turn way north of here in some scary deserted gangish-like area. I was practically scared for my life. However, we did make arrive safe and sound. Phew. Oops. Sorry. I did mention it. Below is a last photo with Editor Wendy. I still can't believe we finally met. And she truly is marvelous! And I truly am lucky. And about the upcoming My Town Monday: Wendy and I took off this morning and did a little Hollywood/LA exploring. And therein lies the MTM post... Check back. Oooooh. Off to the party downstairs. Bye. p.s. If you write picture books, middle grade or young adult, you must must must come next year. We'll hang out; you'll learn tons, very all win-win. My little sister's coming to the August meeting of The Book Review Club! BUT, she really did enjoy reading this book while down from Canada with her kids for a holiday with us. Even better, she agreed to write a review for the club. My sister is delightful. You can spend hours with her and still be sad to see her go. I'm happy you'll have the chance to get to know her, albeit only a little bit, through her review. As I put together this post, I can see my sister's suitcases lined up to load in the van for the airport. Yes, today marks the end of a wonderful and fun ten days. The time went too fast, and I'm not at all ready to say goodbye. It'll probably be another year before we see each other again. And another year before we watch our kids hanging out together again. So, I'm looking forward to reading everyone's reviews. They'll take my mind off my quieter house. 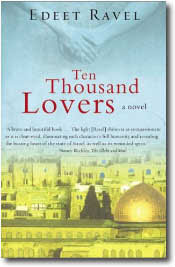 Ten Thousand Lovers by Edeet Ravel is a love story set in Israel during the 1970’s. Amazon.com writes: Israel, 1970s. Lily, a young emigrant student exploring the wonders and terrors of her new land, finds the man of her dreams -- Ami, a former actor. Handsome, intelligent, and exciting, but like his beautiful, disintegrating country, Ami has a terrible flaw -- he is an army interrogator. 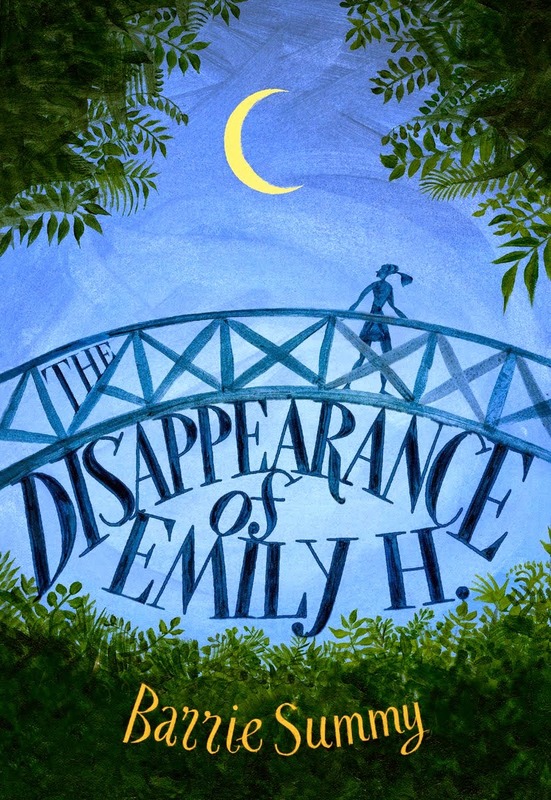 As Ami and Lily's unexpected passion grows, so too does the shadow that hangs over them. They must face the unspeakable horrors of Ami's work and their uncertain future. Lily has trouble trusting him because of his job with the army. However, as events in the story unfold, Lily’s feelings for Ami change. If you go to the author’s website, you will see that she has many things in common with the Lily. Like Lily, she was born on a Kibbutz and later moved to Canada. Later she returned to Israel to study, also like Lily. 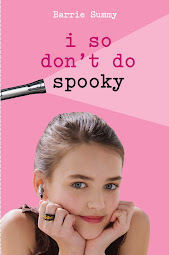 Finally, the author has a daughter, too. However, the best news on Edeet Ravel’s website is that Ten Thousand Lovers is the first book in a trilogy. I am looking forward to reading the others. Below are links to great book reviews from this month's participants. Please click through. You won't be sorry! Note to reviewers: If I missed linking to you, please leave a comment or email me. I keep pretty good tabs on the blog on review club days. And I do have a niggling feeling that I've forgotten someone this month. Sorry for the absenteeism, but, as most of you know, my sister and her 3 daughters are down from Canada for a visit. So, I'm spending my days having buckets and buckets of Southern California touristy fun. DH and I don't have any family in SoCal, so I'm really enjoying watching my kids hang out with their cousins. And, of course, I'm getting to know my nieces better too. Our guests gave us bread-and-butter gifts. Yay! Gifts are great! I introduced my sister to the hands-down, best Diet Coke in San Diego County. The cousins (her kids and mine) aren't averse to the slushies there either! We drove up to Julian where we meandered through various shops; bought an apple pie; ate a grossly overpriced lunch; visited the wonderfully quaint used bookstore, The Julian Book House (2230 Main St., Julian, 92036. 760-765-1989) where I picked up a Perry Mason, a Nero Wolf and an Elmore Leonard. We also visited the gold mine. The above way over-exposed photo is our tour guide, Greg, holding up a cow's horn. Because this is what miners originally used for panning. My camera was still acting wonky and letting in too much light even when squeezed till it squealed. But I found an eye glasses repair store. The guy working there tried several teeny tiny screws (of thousands!) and found two that held the metal plates firmly in place on the side of my camera. Fingers crossed, this will do the trick! Back to Julian for a sec: I've posted a couple of My Town Mondays about Julian. Here's the link to the My Town Monday gold mine post. My sister and I traipsed back to the beach in the dark to rummage through the trash cans. Why? She thought she'd accidentally thrown out her new video camera! We're smiling for the camera. But, uh, very gross! My disposable plastic gloves fetish came in handy. Oh, did we find the video camera? Yes. THE NEXT MORNING BY THE BAR-B-QUE IN MY BACKYARD!! Of course, I will never ever let her forget this incident. I will recount it every Christmas. In fact, I will remind her of it every time someone mentions the word "trash" or "garbage." Hope you're all having a marvelous summer! I leave you with one last photo taken inside the gold mine. This is the communication system for the miners lowered deep into the bowels. The pegboard was to keep track of the number of men down there at work. The bell was for a system involving up to four rings for instructions like "stop," "go slowly," etc. I tried to memorize the system, but it's all a muddle now. One of many reasons why I would've made a lousy gold miner!